Well here's a trailer that may get your pulses racing. 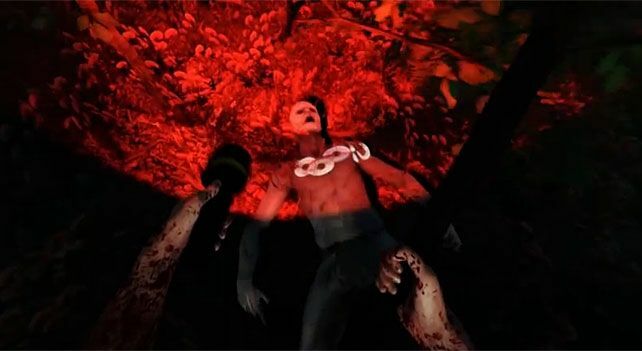 The Forest, a planned release from Endnight Games, is an open-ended survival horror game, which comes across like the illegitimate offspring of 'Hollow' and Lord Of The Flies. In it, players are plonked down on an island and they're tasked with basic survival. While that may sound simple enough, it's worth mentioning that the island seems to be the home of a bunch of mutant cannibals who frollick in the wilds at night. In order to stay alive, players will need to turn to their surroundings to survive, and apparently crafting items such as weapons and fortifications will play a part in the proceedings. According to a preview on gaming website Eurogamer, the developers say their game will reward those players who explore its atmospheric environment. "You might see a landmark off to the distance that you can't necessarily get to yet. You'll have to build up a certain number of skills and equipment to actually get to some parts of the world," animator Michael Mellor told Eurogamer. "We're hoping we can provide some curiosity, some passive goals, to give players reasons to go out and figure out more about the world." "As anyone who's gotten really deep into Shadow of the Colossus can tell you, sometimes accessing hard-to-reach beautiful scenery is its own reward."